Melodic Power Trio from South Dakota that produces hard rock laced w/ powerful vocals. For fans of Staind and Papa Roach, CORE also has a sound that takes it to another level w/ vocal qualities that are equal parts Layne Staley and Claudio Sanchez. CORE is not your average hard rock band. Hailing from South Dakota they are sure to be the next big thing to come out of the Midwest. For fans of Staind, Sevendust and Papa Roach, CORE approach songwriting honestly and are dedicated passionate musicians. This power trio provides a tight rhythm section that produces a brutal sound, balanced by tender yet powerful vocal harmonies reminiscent of Layne Staley. Equal parts heavy riffs and delicate acoustics, CORE's music is emotionally charged and unique. SEASON'S AFTER, WES BORELAND (of Limp Bizkit, and Black Light Burns), THE DREAMING, CINDER ROAD, DROPPING DAYLIGHT, CHRIS VOLZ as well as many others. CORE have a devoted national following & are currently playing out in support of their much anticipated 3rd Album. "Broken Heart Syndrome" is set for world wide release in early 2014 thru TURKEY VULTURE RECORDS/ BUNGALO RECORDS/ UNIVERSAL MUSIC GROUP DISTRIBUTION whom the band signed with in December, 2012. Previously, CORE has independently released "St. Judas Day Parade" in July, 2010. The singles "Hate Me Harder", "Dig", "Live Forever", and "You're So Fake" received nationwide airplay on active rock and college radio stations. 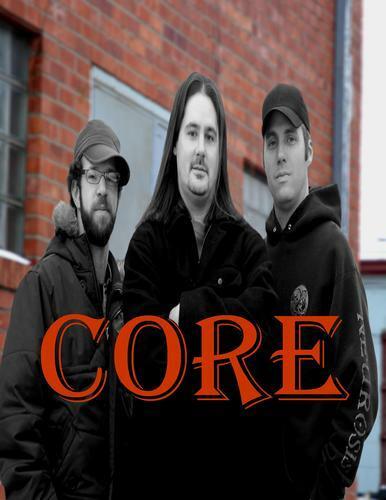 In 2007, CORE's debut album "We All Fall Down" earned rave reviews from TAXI & cdreview.com, citing the songs "Eisoptrophobia", "Confession", and "Calling John Coffey" as favorites. Both albums are available on iTUNES, AMAZON, SPOTIFY, RHAPSODY, V-CAST VERIZON, NAPSTER, CDREVIEW.COM, DIGSTATION, CDBABY, CORETUNES.COM, as well as countless other major digital retailers.